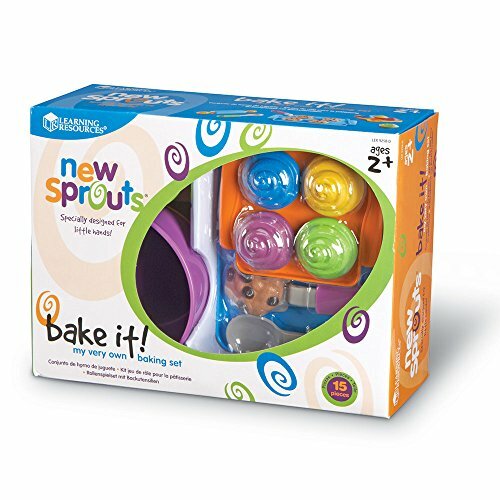 Learning Resources New Sprouts Bake It! Product prices and availability are accurate as of 2019-04-17 04:28:34 EDT and are subject to change. Any price and availability information displayed on http://www.amazon.com/ at the time of purchase will apply to the purchase of this product. 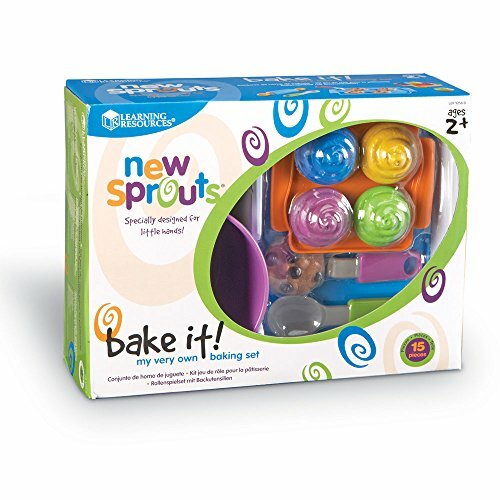 Encourage imaginative play with this complete bake set. 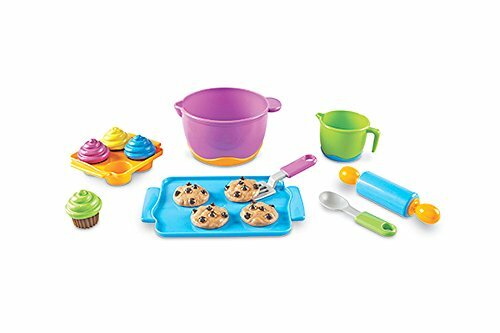 Features 4 cookies, 4 cupcakes, and includes a colorful rolling pin, mixing spoon, and spatula. 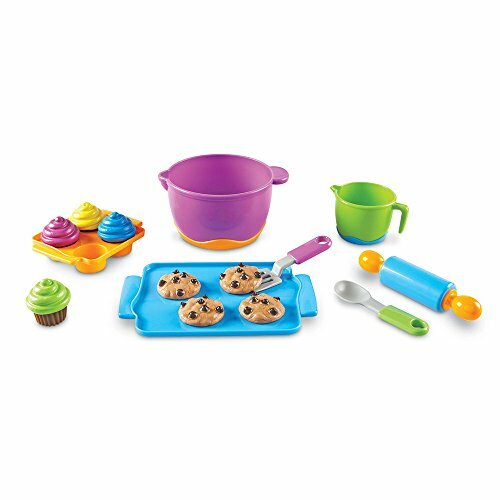 The measuring cup, mixing bowl, and tray all feature easy-to-grip handles or little bakers. 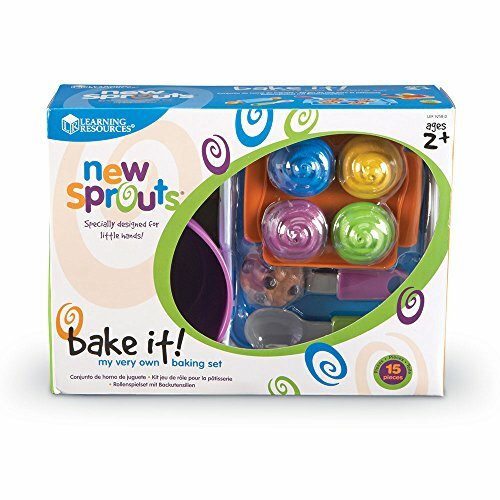 Ideal for ages 2+. 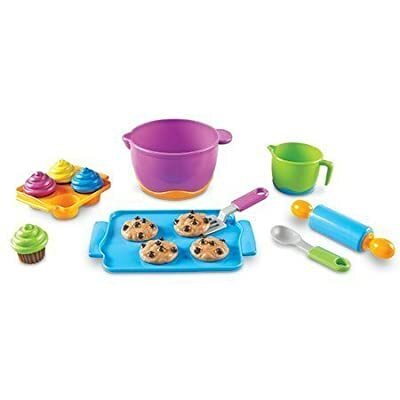 Bake up your own pretend store goodies with this early bake set Kids build vocabulary through imaginative play Includes easy-to-grip handles on a measuring cup, mixing bowl, and tray Features 4 cookies, 4 cupcakes, rolling pin, mixing spoon, and spatula Ages 2+ Learning Resources is a leading global manufacturer of innovative, hands-on educational products that provide engaging learning experiences that meet children's individual needs. Their products and brands are trusted by teachers and parents, but more importantly, are loved by children.